There's a particular allure to hearing ice clink in your glass as you sip from a cool cocktail. And really, there's no reason why this small sound of sophistication should be a luxury — after all, those under 21 and anyone who prefers non-alcoholic beverages enjoy a festive drink, too. 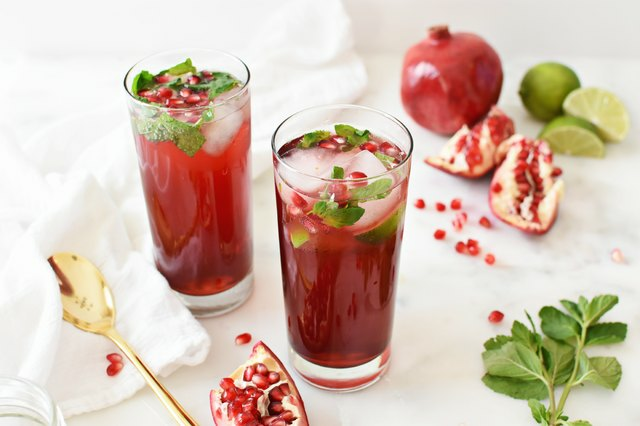 That's why this beautiful pomegranate mojito mocktail is so convenient. 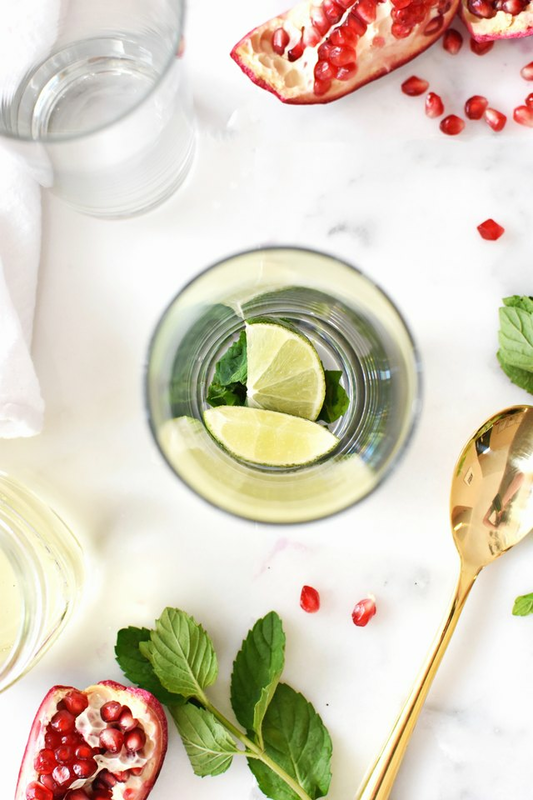 Made with come one, come all ingredients like mint leaves, club soda and sugar, this is a recipe that allows everyone to cheers with the same tasty flavors in hand. Serve it at your next party, and listen for that exciting sound as it becomes the symphony to a universally good time. In a small sauce pan, heat the water and sugar over high heat. Stir until the sugar dissolves and the mixture comes to a boil. Set aside and let it cool. Place two lime wedges, five mint leaves and half of the simple syrup mixture in each glass. Muddle the ingredients together to infuse the flavors. 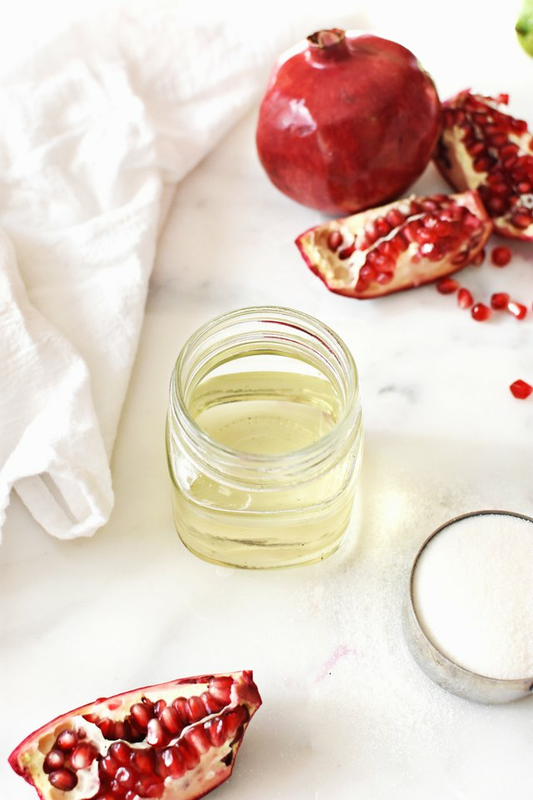 Add in the ice and pomegranate seeds. 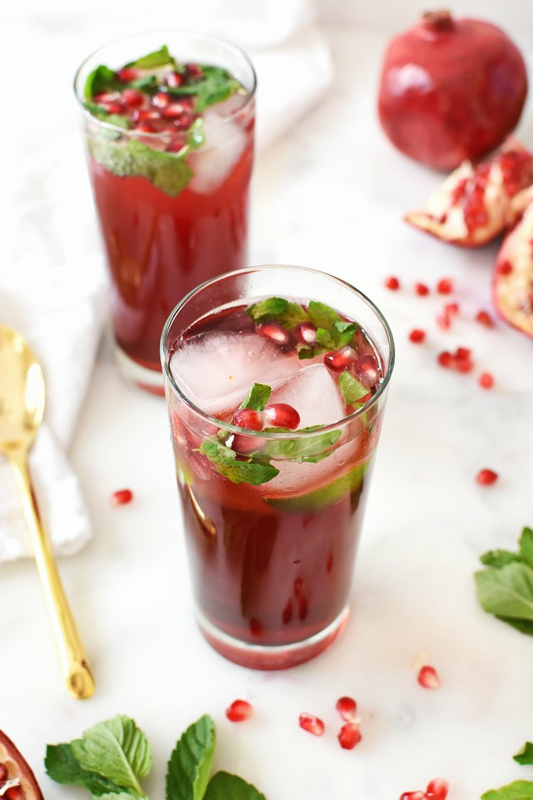 Then, pour two ounces of pomegranate juice in each glass, followed by about four ounces of club soda. Stir well. 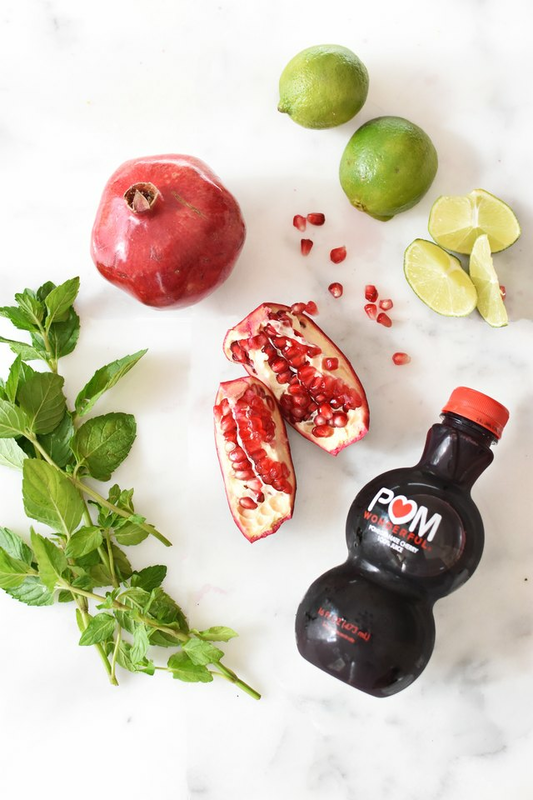 Garnish the tops of the drinks with extra mint and pomegranate seeds. Serve immediately and enjoy!